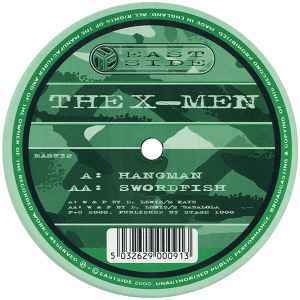 Hangman is one of the first dnb tunes I heard and an excellent one at that. The bass is dark stabby and infectious. The track on a whole is a great example of the darker tech vibe of the era. I would easily rate Hangman in my top 500 dnb tunes of all time, possibly the top 100, although the higher rating may be due to nostalgic reasoning. Swordfish isn't a bad track by any means, groovy rolling with a bit of a grunt to the bassline.